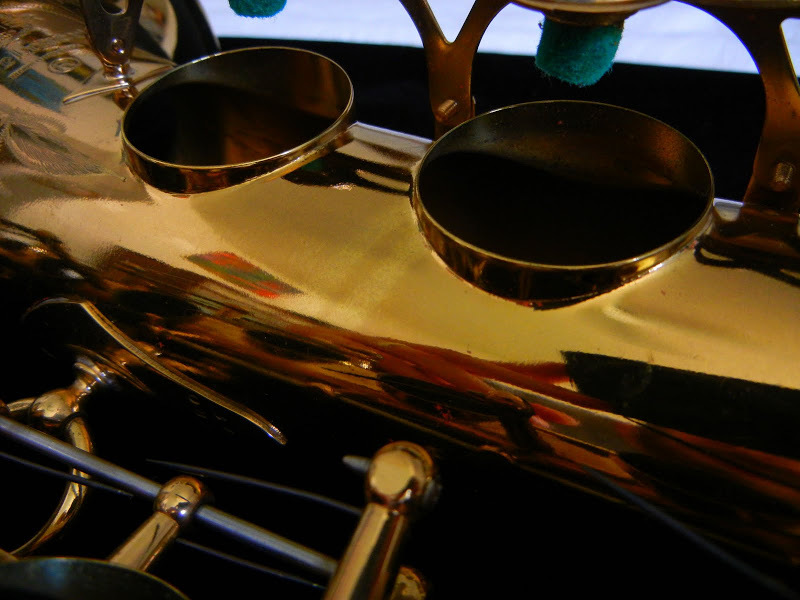 On Selmer saxophones of certain vintages, the last coat of lacquer was applied after the horn was complete including padwork. 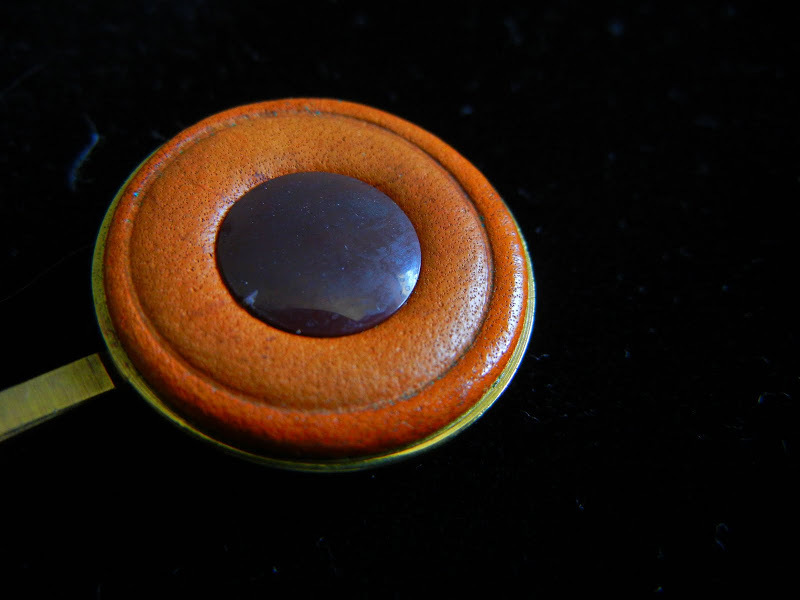 They would cork the keys shut and apply the last coat, which resulted in the pad leather outside of the tonehole having a very light coat of lacquer. It made no difference to the longevity of the pads since the uncoated portion- the portion on the tonehole and inside the tonehole- is the “working” portion of the pad. I’m not certain, but consensus seems to be that this was a USA-assembled Selmers only thing, from Balanced Action through Mark VI, maybe Mark VII. 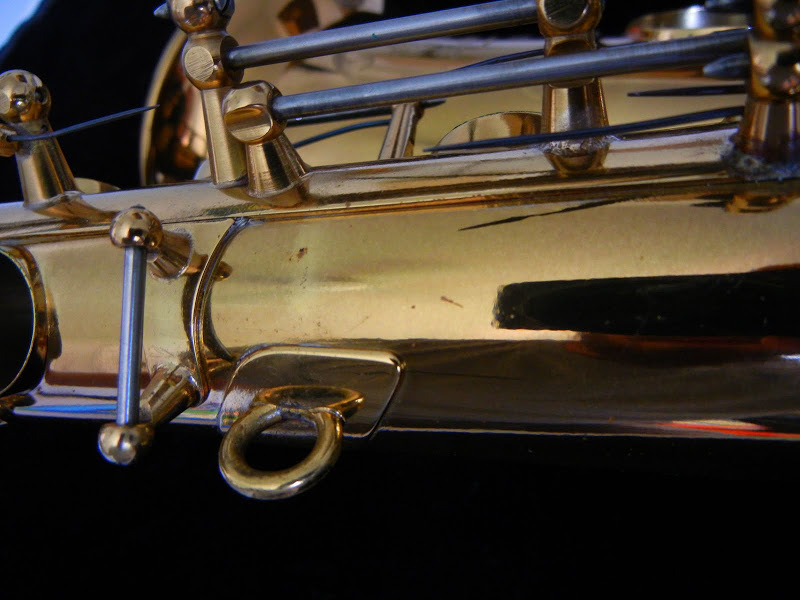 Its only meaning is that it is an additional way to *sometimes* tell if a Selmer has its original pads. Another example, this one pictorial. 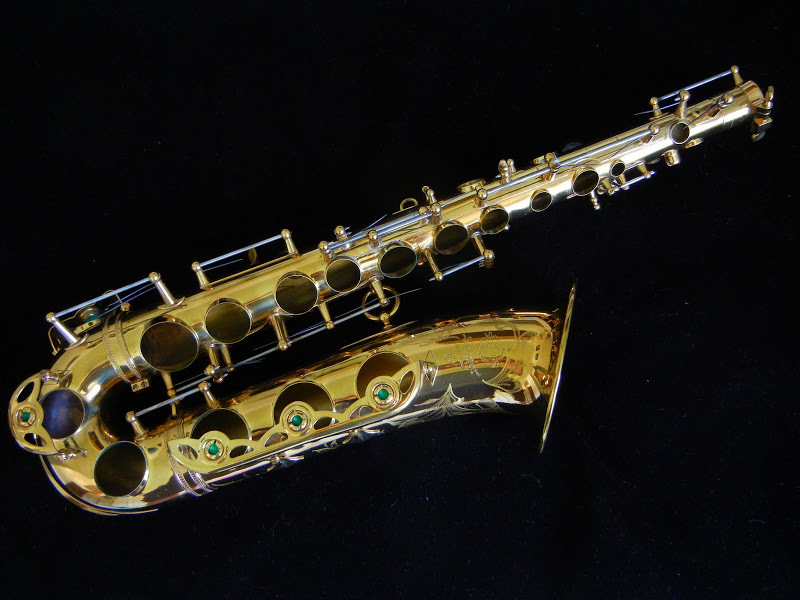 This is a Selmer alto, a Mark VI, that was made in 1966. The lighter stripes in the photo below are the shadows from key arms as the last coat of lacquer was applied with the instrument assembled. Why two key arms? See the last picture for the answer! Disassembled. And the reason for the double arm shadow on the low Bb (which would normally only have one arm there) is revealed: this was a low A alto.